Growing up in Schwarzenberg, Rademann received his first musical experiences in his father's church choir. As a teenager he was taught the violin and piano. From 1975 to 1983, he was a member of the Dresdner Kreuzchor. 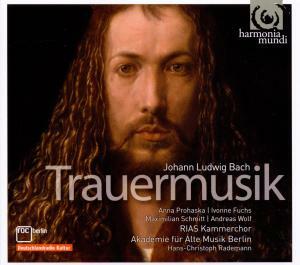 After completing school, he studied choral and orchestral conducting at the Musikhochschule Dresden until 1990. He acquired further experience in several classes with Helmuth Rilling and Philippe Herreweghe. 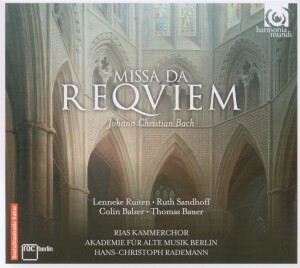 Rademann has conducted the chamber choir Dresdner Kammerchor since its founding in 1985. During 1991–1999 he was artistic director of the Academy of Music in Dresden. From 1999 to 2004, Rademann served as choir director of the NDR's choir. With the start of the 2007/2008 season Rademann took over as chief conductor for RIAS Kammerchor; he had already conducted several times as guest conductor. 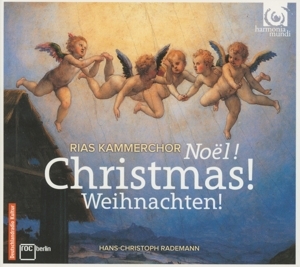 Rademann has served as guest conductor of various leading vocal ensembles, among them Collegium Vocale Gent, the National Chamber Choir of Ireland and the radio choruses of ARD. In 1997 he made his debut as an opera conductor at the Saxony Theatre with Mozart's Die Entführung aus dem Serail. 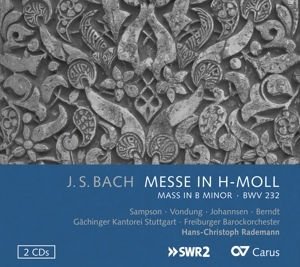 In 1999 he conducted the Netherlands Bach Society's annual performance of Bach's St Matthew Passion. In 2010 he conducted the RIAS Kammerchor and the Akademie für Alte Musik Berlin in performances of Monteverdi's Vespro della Beata Vergine, 400 years after its premiere, including a concert at the Rheingau Musik Festival in Eberbach Abbey, with María Cristina Kiehr, Gerlinde Sämann, James Elliott, Andreas Karasiak and Harry van der Kamp. 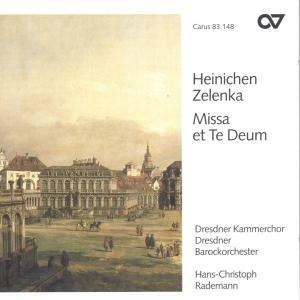 In 2000, Rademann was appointed professor of choral conducting at the Musikhochschule in Dresden. On 31 May 2008, he was awarded the Sächsische Verfassungsmedaille of the Landtag of Saxony by the President of the Landtag, Erich Iltgen, "for his commitment to arts and culture in and for Saxony". In 2010 he founded the festival Musikfest Erzgebirge, which is focussed on early music from the region of the Ore Mountains. In 2013 Rademann succeeded Helmuth Rilling as director of the Internationale Bachakademie Stuttgart.